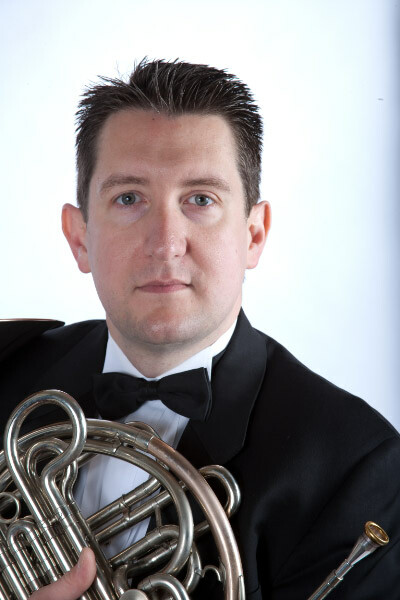 Jay Chadwick, horn, has combined a passion for playing the French horn with a full time legal career. Jay studied the French horn at the College of William and Mary with David Wick of the Virginia Symphony. Jay maintains an active symphonic and chamber music performance schedule in Northern Virginia and Washington, D.C. Jay is the principal horn in the Avanti! Chamber Orchestra, and is the second horn in the McLean Orchestra. Jay frequently performs in a variety of chamber ensembles, and is a founding member of the Patagonia Winds. In between rehearsals and gigs, Jay can be found practicing commercial real estate law in Northern Virginia, or checking out used horns on eBay.